Mom's Gone Bronson! 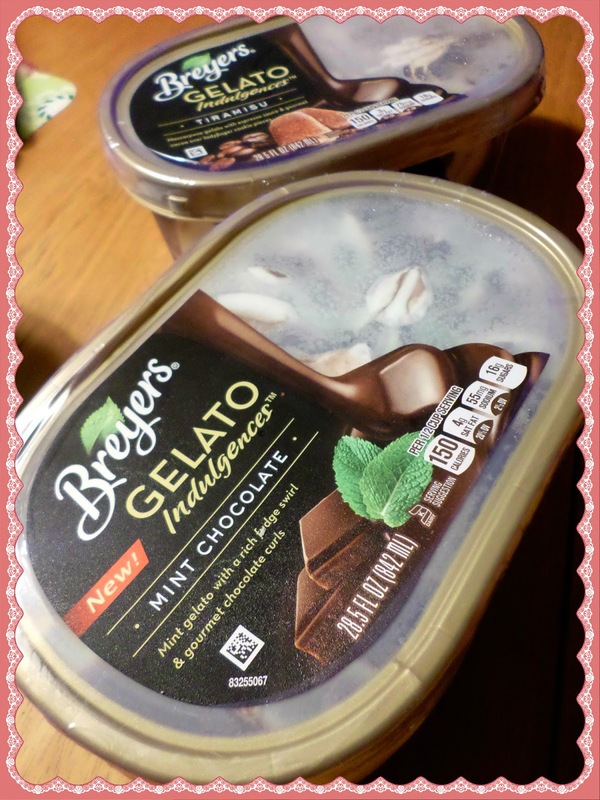 : NEW Mint Chocolate Breyers Gelato Indulgences, Look-See! 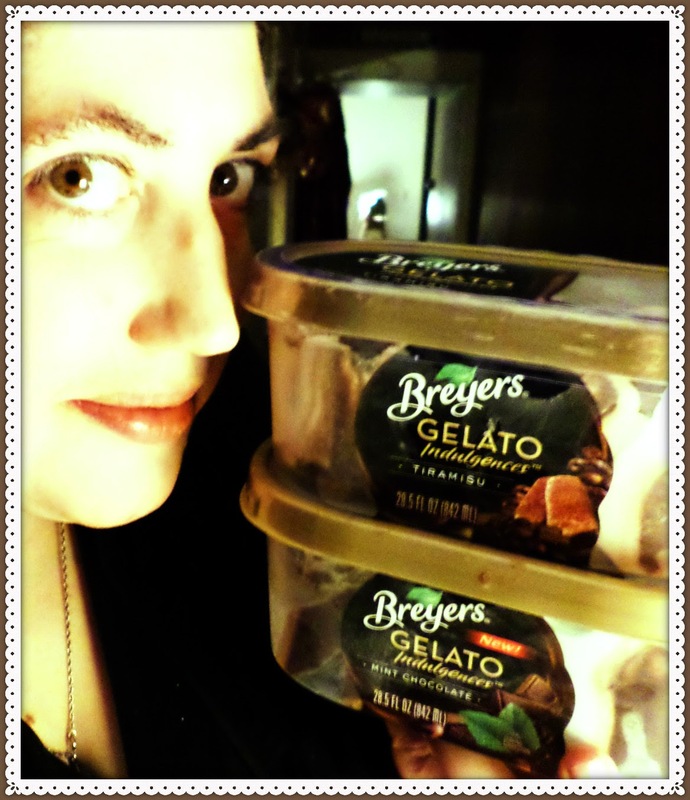 NEW Mint Chocolate Breyers Gelato Indulgences, Look-See! Disclaimer: I was provided with a product coupon to taste and try the following product. All opinions are my own, thank you! Valentines Day is fast approaching and what better way to celebrate than with a sweet treat for your honey, from Breyers, with their Gelato Indulgences! 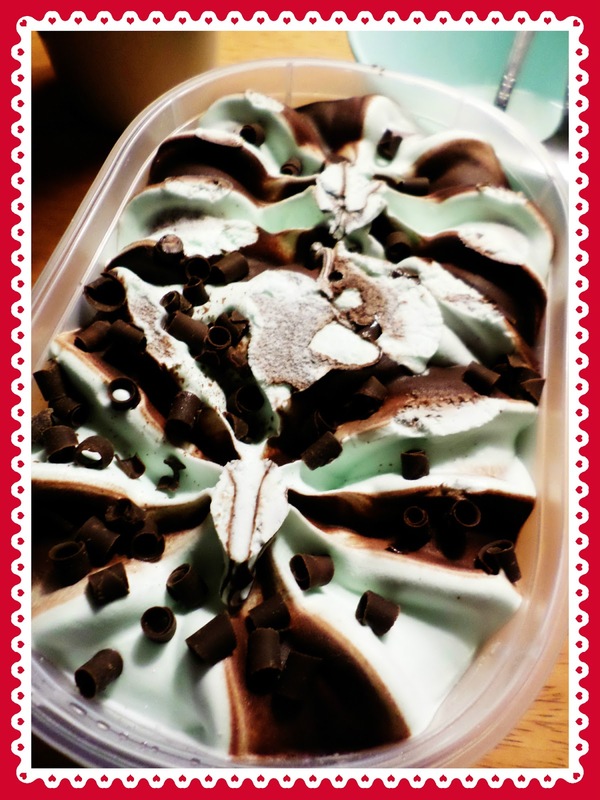 I personally love ice creams and gelato, probably a little too much, and so I was over the moon to try out the NEW Mint Chocolate flavor Gelato Indulgences and almost ran to the store to pick some up! An old favorite of mine is mint chocolate anything and so of course I thought I would love this new variety before I even opened the lid, but I knew I would LOVE it when I got my first peek! This new variety of Gelato Indulgences looks smooth, chocolaty and delicious right out of the container and everyone in our household wanted to give it a try! We split a little between all of us - there was a good serving to go around - and everyone tucked in with a smile and it didn't last too long, but they sure did indulge! There was a definitely consensus that the new Mint Chocolate flavor was a big hit, even with our fussy eater as Breyers Gelato Indulgences are just creamy, smooth, tasteful but not overpowering and the mint lingers on your tongue and really holds a lot of flavor! There is a bite in the chocolate and satisfying amount of swirl to finish it off! I would most definitely recommend the NEW Mint Chocolate flavor, especially if you are a fan of old favorites but want to give them new life in a gelato! If you would like to find out more about the newest addition to the Gelato Indulgences range, then head on over HERE and follow them on Facebook and Twitter to stay up-to-date, too! I will say that my favorite flavors of Gelato Indulgences is always going to be the Tiramisu, but the Mint Chocolate certainly gives it a run for its money! Have you indulged yet? What is your favorite flavor of Gelato and what would you LOVE to see in a Gelato that you don't see already!? I do love hearing from you! Try some out today, or make a little something special for your next date night, with our definite two thumbs up!! Breyers is my favorite brand of ice cream-I love all their flavors! I'm so excited to see they are coming out with another flavor for us to try!